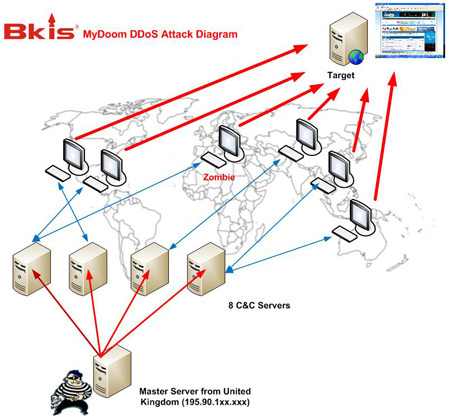 It may not have been North Korea, or its sympathizers, that executed those simplistic, yet highly effective distributed denial-of-services (dDos) attacks against dozens of U.S. and South Korean websites last week. 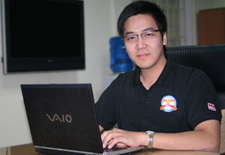 Bkis analyzed samples of Internet traffic supplied by APCERT, the Korean Computer Emergency Response Team. In order of concentration, the attack bots were located South Korea, the United States, China, Japan, Canada, Australia, the Philippines, New Zealand, the UK, Vietnam and 64 other nations. Of course, just because the master server was located in the UK doesn’t mean the attackers were Brits. The master server itself could be a bot under covert control by an attacker sitting at a keyboard anywhere in the world. As to absolving North Korea, Jayson E. Street, a cyber warfare consultant at Netragard, says the attacks were more likely the work of a nation-state interested in experimenting with denial-of-service techniques, file erasure programs and Master Boot destruction. These were components of a uniquely quixotic payload unraveled by Symantec. Symantec also was first to disclose that the set-up phase of the attack involved using a variant of the 5-year-old MyDoom email virus to assemble a fresh contingent of botted PCs. And Street points out that the attackers carefully targeted government and commercial websites limited to disseminating information to the public; in other words, sites not likely to be as tightly locked down against dDos attacks a, say,Ã‚Â any site conducting financial transactions or collecting sensitive personal data. Street believes this might be the first high-profile example of what he describes as a “stalking horse” attack — in which the perpetrator is carefully and covertly testing attack techniques in the wild. He agrees with LastWatchdog that the perpetrator could even be a would-be mercenary honing his skills before hiring out his services to the highest bidder. The unusual file erasure and Master Boot self-destruct components are the clinchers for the stalking horse hypothesis. Street believes the attacker/experimenter is meticulously covering his tracks. “It’s kind of hard to do forensics on a machine that’s been wiped, though not impossible.” says Street. Without pointing fingers at any country, Street observed that Russia and China are known to be actively engaging in asymmetrical warfare , as recently alluded to in this USA TODAY front page story describing breach attempts against government systems. While visiting Shanghai last spring to attend the SyScan ’09 security conference, Street met with a Chinese contact who offered a very plausible explanation for light hacker turnout at the show, and a general lull in China-based cyber crime activity: the year of 6521 omen. The contact advised Street that many Chinese hackers believe this is a good year to lay low because of a convergence of portentous anniversaries: the 60th anniversary of Mao Tsi-Tung-ledÃ‚Â communist revolution; the 50th anniversary of the Dalai Lama’s exile from Tibet; the 20th anniversary of the Tiananmen Square massacre; and the 10th anniversary of the disbanding of Falun Gong spiritual movement. And what about the Russians? Street hypothesizes that there could be a parallel to the Russian-led dDos attacks that froze Estonia’s IT systems nationwide in 2007, over a seemingly petty dispute about moving a historical statute. What happened to Estonia was a kind of a stalking horse attack — if the underlying motivation was to test techniques for shutting down financial transactions and communications systems in a nation highly dependent on Internet connectivity, he says. “Estonia is one of the most wired countries in the world. They do their voting on line, a lot of their bill paying online, the leader of the country has actually stated that the Internet is a basic human right,” observes Street. “Estonia is where many people think the United States will be in five to 10 years. 3 Comments on "Perpetrators of Korean cyber attacks could be ‘stalking horse’ operatives"
Thank for information ! i love it. Many thank !.